What 3 Real Mad Men Can Teach Us About Content Marketing Today. 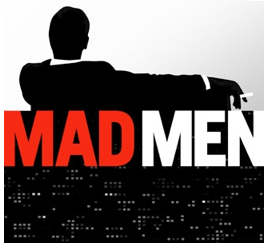 Home / Blog / Uncategorized / What 3 Real Mad Men Can Teach Us About Content Marketing Today. I’ve always believed that the AMC epic Mad Men is being fully supported by the advertising folks from the glory days of 1980’s & 1990’s. After all, they are witnessing an uncomfortable transition towards a new world of online & social marketing focused on content, inbound tactics and actual results. So it’s only natural they are drawn to a romantic vision of the postwar American advertising scene that’s portrayed as a casual & glorious era of martinis and push-up bras — all encircled by an endless cloud of cigarette smoke. What’s ironic to me is the heavy mental lifting done by the real Mad Men of that famed time is alive and relevant in today’s content-driven reality. “One of the problems is worship of research. My mind immediately goes to infographics. There is no shortage of data out there, just interesting ways to show it or compile mass amounts of it. See an example here. Infographics are ideal for Prezi presentations, SlideShare decks, white board sessions and short videos. Their popularity is exploding because they can translate complex information into simple visual references. I especially like pulling single infographic elements into other sources of content such as a point of view pieces or blog posts. Now, replace the word ad with content. Podcasts, white papers, case studies, webinars — you name it. If your content is not compelling, it really doesn’t matter what form it takes. So find that hook to your title that creates intrigue. And make content that’s worth experiencing. Finally, let’s learn more about writing from George Gribbin. As chairman of Young & Rubicam, he helped this advertising agency enjoy success for nearly 1/2 a century. Sure it’s a bit altruistic but also a nice, guiding thought. In the world of online content I feel you can either be likable or controversial to get attention. But at the end of the day you need to have a positive, motivational call-to-action message to be successful. Oh boy, here’s where things get sticky on our journey. Content must sell? Yes content marketing is the new intelligent way to sell. But it only works when used carefully and integrated into some kind of lead generation system or capture program. Compelling content builds trust in your brand which starts a nurturing conversation and eventually leads to a relationship and finally a sale. David Ogilvy another real Mad Man said it best, “You can’t bore people into buying your product.” And I’m sure the legends of yesteryear would agree this holds true for content marketing today. One Response to What 3 Real Mad Men Can Teach Us About Content Marketing Today.